/ Data storytelling pt. 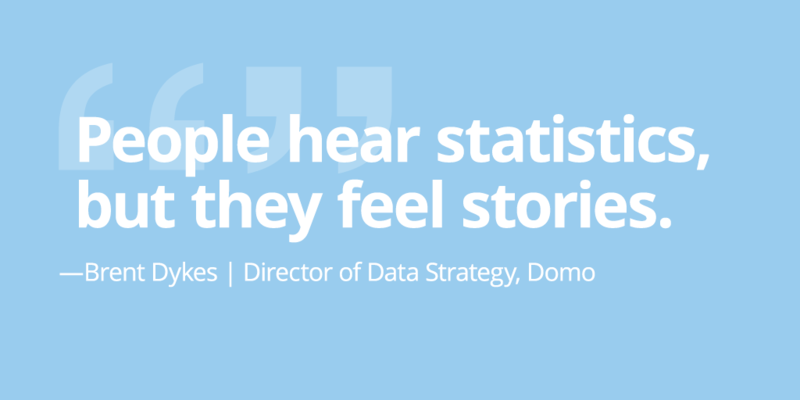 2: Why telling stories with data is essential to success. For thousands of years, storytelling has been an integral part of our humanity. Even in our digital age, stories continue to appeal to us just as much as they did to our ancient ancestors. Stories play a vibrant role in our daily lives—from the entertainment we consume to the experiences we share with others to what we conjure up in our dreams. Modern-day storytelling is often associated with the popular TED conference series and its slogan of “Ideas Worth Spreading.” Analysis of the most popular 500 TED Talk presentations found that stories made up at least 65% of their content. Throughout time, storytelling has proven to be a powerful delivery mechanism for sharing insights and ideas in a way that is memorable, persuasive, and engaging. For some people, crafting a story around the data may seem like an unnecessary, time-consuming effort. They may feel the insights or facts should be sufficient to stand on their own as long as they’re reported in a clear manner. They may believe the revealed insights alone should influence the right decisions and drive their audience to act. Unfortunately, this point of view is based on the flawed assumption that business decisions are based solely on logic and reason. In fact, neuroscientists have confirmed decisions are often based on emotion, not logic. USC professor Antonio Damasio found patients, who had brain damage in an area that helped to process emotions (prefrontal cortex), struggled to make basic decisions when choosing between alternatives. Deciding on where to eat or when to schedule an appointment turned into lengthy cost-benefit debates for these individuals. Interestingly, these patients’ decision-making skills were significantly impaired by the lack of emotional judgment. Emotion actually plays an essential role in helping our brains to navigate the alternatives and arrive at a timely decision. In a previous article, I shared an account of Ignaz Semmelweis, a mid-nineteenth century obstetrician, who discovered hand washing could save countless lives but failed to communicate his findings effectively to a skeptical medical community. His data was ignored, his life-saving ideas were rejected, and he was sadly discredited by his colleagues. Many bold, incredible insights will suffer a similar fate if they are not successfully molded into data stories. Uncovering key insights is one skill and communicating them is another—both are equally critical to deriving value from the data your business is now amassing. Data storytelling represents an exciting, new field of expertise where art and science truly converge. 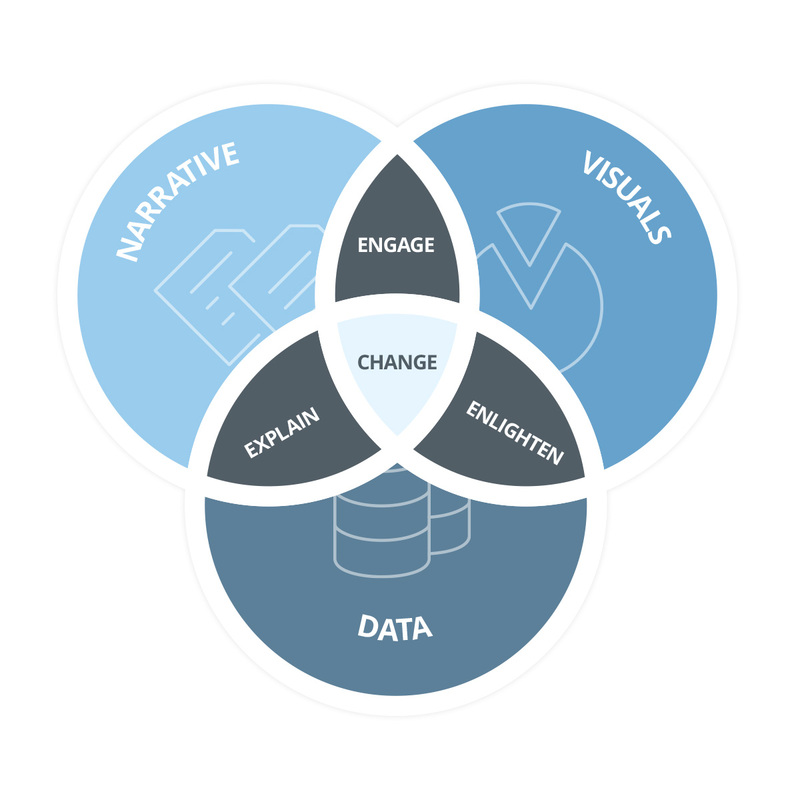 My hope is more data storytellers—from across an organization—will emerge to ensure the survival and adoption of more transformative insights.